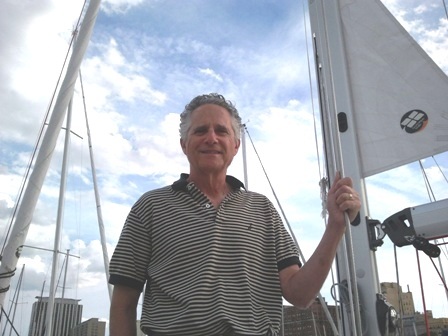 Meet Norm Zable of Chicago Yacht Share and Featured Business Owner at SCORE Chicago. Learn his story, and what tips he has for your business. 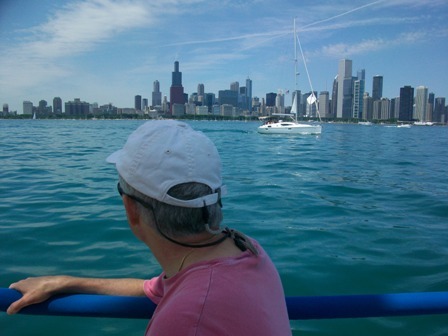 Chicago Yacht Share provides sailing opportunities aboard a performance yacht without having to buy a boat or hire a captain. My clients are experienced sailors or those who want to learn to sail. Captains, American Sailing Association (ASA) qualified sailors and those with extensive experience on similar yachts are all candidates for my share programs. I teach ASA classes for those who have never sailed or want to brush up on their skills. Upon receiving their ASA credentials, my students are then qualified to use the yacht without the need of a captain onboard. My “Basic Introduction To Sailing” class has been successful in converting several students into participants in my share programs. The “Strictly Sail Show” has proved to be a great way to introduce Chicago Yacht Share to my target market (sailors). What is your advise to other business owners? Raise the bar when it comes to service and your clients will tell their friends about your business. My mentor, Chance Bahadur, has helped me with my bookkeeping skills and strategies regarding marketing to my narrow market of potential clients. What is your website, for further information?